Aaliku is superbly located, just metres away from the harbor and not far from the central strip where the dive shops and restaurants can be found. Situated a little behind the beachfront Aaliku enjoys peace and quiet without having to sacrifice distance to get to the main hub. 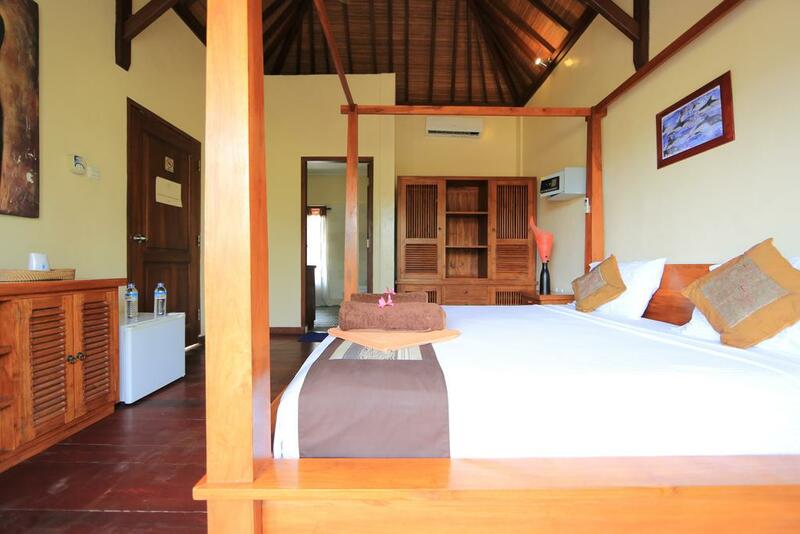 Beginning with just 1 bungalow in 2006 Aaliku has expanded to 5 spacious rooms in total, each with their own special characters set amongst beautiful gardens. 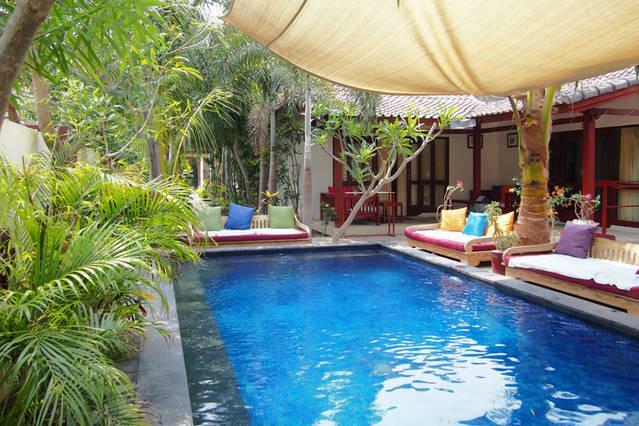 The bungalows have been designed using the best quality materials that Lombok has to offer including teak wood for the interior, stone basins and marble flooring. Sumptuous cushions with shades that vary from room to room combined with neutral wall colors create a soft, classic look whilst items such as bedside lamps contribute to making each room unique in its own way. 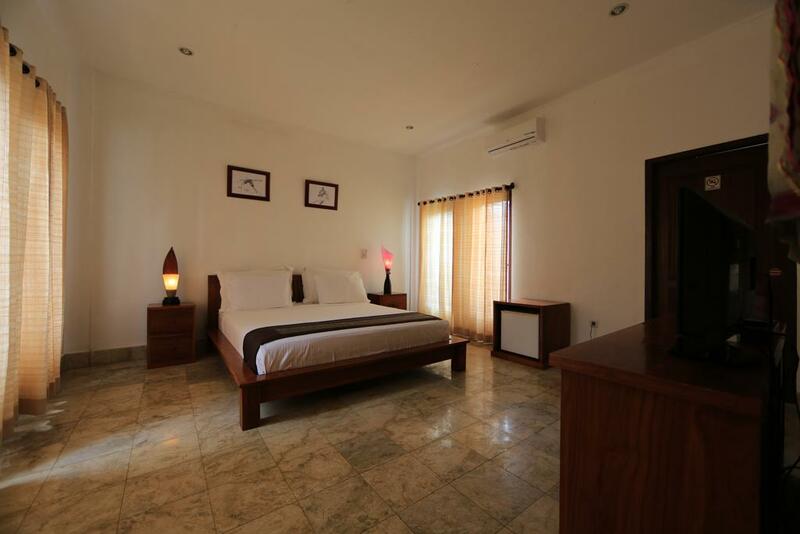 If you’re looking for a romantic getaway or even considering a place to stay for your honeymoon then our upstairs room is a perfect choice. Watch the sunrise or sunset or just sit and admire the lush green view of the island from a choice of two private balconies. Enjoy some of the best night’s sleep you’ll ever have on your holiday in our 4 poster bed where guests have complimented on how comfortable the mattress is! This room enjoys air con, fresh water and a safety deposit box. There are also two sun-loungers to soak up the rays on the large terraced balcony.